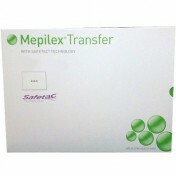 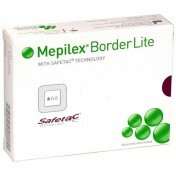 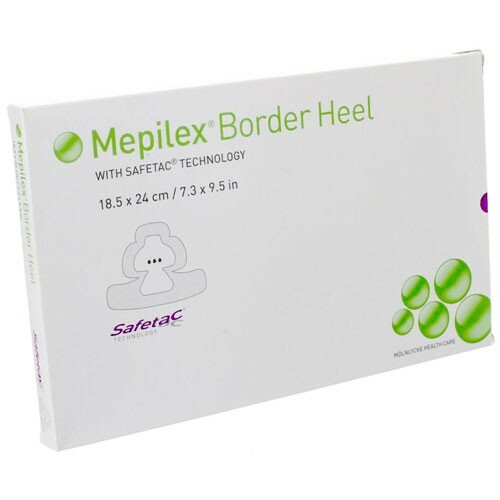 Mepilex Border Heel is an all-in-one foam dressing specifically designed to fit the heel. 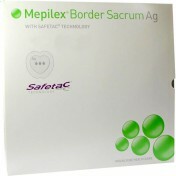 With a 5-layer absorbent foam structure constructed with Safetac technology, this foam dressing effectively absorbs and retains exudate while simultaneously maintaining a moist wound environment. 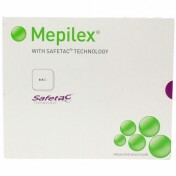 This medical dressing is designed to be non-traumatic to the wound and the surrounding skin at removal, allowing for complete, undisturbed healing. 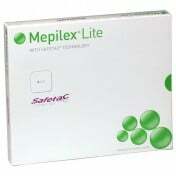 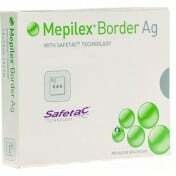 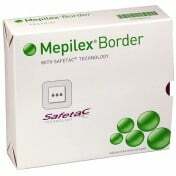 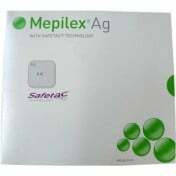 Mepilex Border Heel is a beneficial and effective foam dressing for the use in preventing skin damage and for the treatment of exuding wounds. 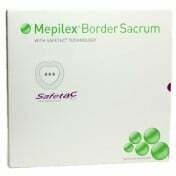 This is the ideal medical dressing for wounds including pressure ulcers, diabetic foot ulcers, heel ulcers, traumatic wounds and other secondary healing wounds. 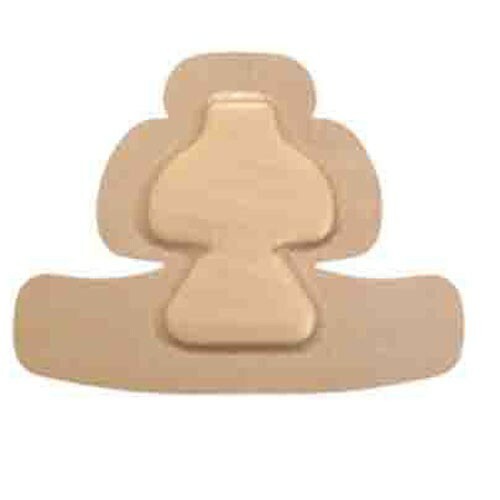 You may also be interested in similar foam dressing products, such as Allevyn Polyurethane Foam Dressing.